Pharmacy technicians play an integral role in retail and hospital pharmacies. 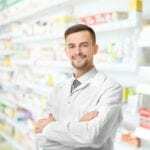 Practicing under standard written procedures and the direction of a registered pharmacist, a pharmacy technician prepares medication, performs administrative duties, and provides front-line customer service. According to employment projections, employment is expected to increase 9 to 13% through the year 2024, faster than the average for all occupations. 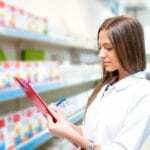 The rising senior and middle-aged population and scientific advances leading to the development of new drugs are just a few factors that contribute to the growing demand for pharmacy technicians. In Minnesota, employment opportunities are especially high in Minneapolis, St. Cloud, Duluth, and Rochester. MCTC’s Pharmacy Technician program prepares students for success on the national certification exam as well as in an entry-level position as a pharmacy technician. The program is open for admission in the fall semester, and prospective students can work out an individualized program of courses to prepare for pharmacy employment or to meet the MnTC (Minnesota Transfer Curriculum) requirements. The student can also include courses that will serve as prerequisites for other careers in health. The program features training in the classroom as well as an internship at a community pharmacy. The 16-credit program covers human diseases and drugs, chemistry, communications in health care, health care ethics, medical terminology, dosage calculations, health care safety and standard precautions, introduction to pharmacy practice, and a retail pharmacy internship of 80 hours. The certificate program may be completed in as little as one semester. Tuition for the program is $2,882. There’s an additional cost of $747 for books and supplies. The pharmacy technician program at the PPL Learning Center helps students develop an understanding of skills needed to function as a pharmacy technician. Students will learn the history of medicine, drug and dosage calculations, laws and regulations governing practice, conversions, pharmacy terminology, and sign codes. The identification of different classes of medication, over the counter medication, drug-referencing, procession prescriptions, aseptic techniques, standard precautions and the role of the pharmacy technician in different settings will also be explored. Instructors will cover the steps for success on the National Certification Examination for Pharmacy Technician for graduates to use the credential Certified Pharmacy Technician (CPhT). Students must attend all classes. Missed test dates must be made up within three days. The short-term certificate course is free for all admitted students. The pharmacy technician program at the Normandale Continuing Education Center is the only online program approved by the State of Minnesota Board of Pharmacy. The structure and content of the program support the acquisition of knowledge and skills needed to work as a pharmacy technician and succeed on the PTCB national exam. Course topics include pharmacy calculations, pharmacy law, regulations, pharmacology, and names of name brand and generic drugs. Students will also have an opportunity to participate in an internship at a community pharmacy – Walgreens or CVS. Throughout the 14-module course, students will need to complete assessment exercises to demonstrate their understanding before moving on the next module. The curriculum covers 285 hours of instruction, which must be completed in 6 months. All course materials are available in electronic format only. However, there is the option to purchase hard-copies for an additional $180. The tuition is $1,995 and is due in full at registration. HTC’s pharmacy technician program is accredited by the ASHP. The intensive coursework and pharmacy externship prepares graduates for an entry-level position under the direction of a registered pharmacist. Graduates will have the knowledge and competencies needed to succeed on the PTCB exam, which is necessary for certification. Applicants must demonstrate an acceptable score on the reading, writing, computer literacy, and math assessment tests. Students must complete 38 credits of general education and core courses to complete the program. Technical credits include pharmacology, pharmacy law and ethics, pharmaceutical calculations, medical and pharmacy terminology, principles of pharmacy practice, pharmacotherapy and epidemiology, chemistry for pharmacy technicians, and pharmacy technician externship. At the program’s conclusion, students will be able to prepare and interpret pharmacy orders, perform duties of a pharmacy technician in a retail or hospital setting, and communicate effectively with patients and other health care professionals. Tuition for the 16-month program is $6,519. Books and supplies cost an additional $2,533. Rasmussen’s Pharmacy Technician Certificate sets students on the path to a rewarding career in the growing field of healthcare. The skills-based curriculum includes numerous opportunities to practice in real-life scenarios. At the conclusion of the program, students will be prepared to take the national PTCE. Graduates also have the option to transfer the credits to the Health Sciences Associate’s degree and complete the requirements in just nine months. Course topics include career development, medical terminology, medical law and ethics, customer service, foundations of pharmacy practice, pharmacy calculations, pharmacology for technicians, sterile and non-sterile compounding, pharmacy retail practicum, and pharmacy technician capstone. Students must also complete communication math/natural sciences, and other foundational courses. The estimated total program cost is $13,580 including tuition, fees, and supplies.